A tisket, a tasket, who needs a basket? 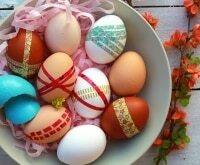 Surprise your loved ones on Easter morning with one of these fun alternatives to your typical woven reed basket. 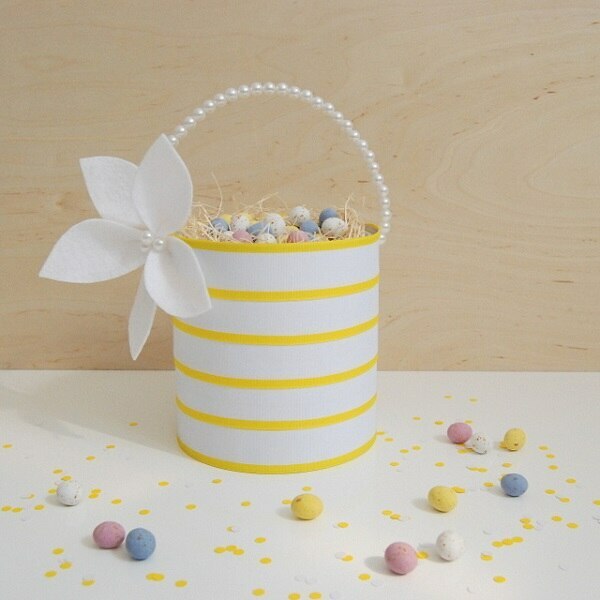 Turns out, pretty much any container can be transformed into an adorable holder for candy, colorful eggs, and any other Easter treats you like. Best of all, you may already have the materials for some on hand. And, of course, don’t forget to fill them with candy! 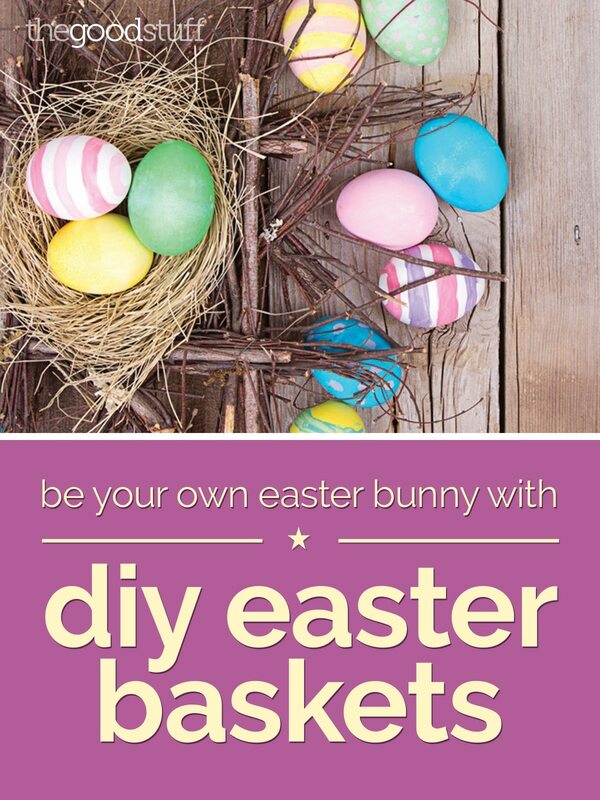 Check out these candy deals to help you save on sweet basket fillers, and read on to learn how to create these fun DIY Easter baskets. 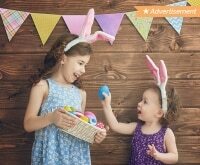 See the full step-by-step instructions to create this fun Easter egg carrier — all you need is felt and a hot glue gun! How’s that for easy? No need for a basket when you have a bindle. 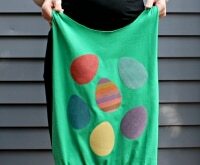 This knapsack-like folding method is cute, easy, and can be done with a pretty scarf which becomes a lovely Easter gift in and of itself. 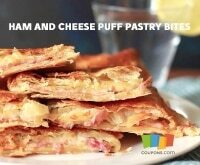 These fast food staples are a surprisingly chic container. 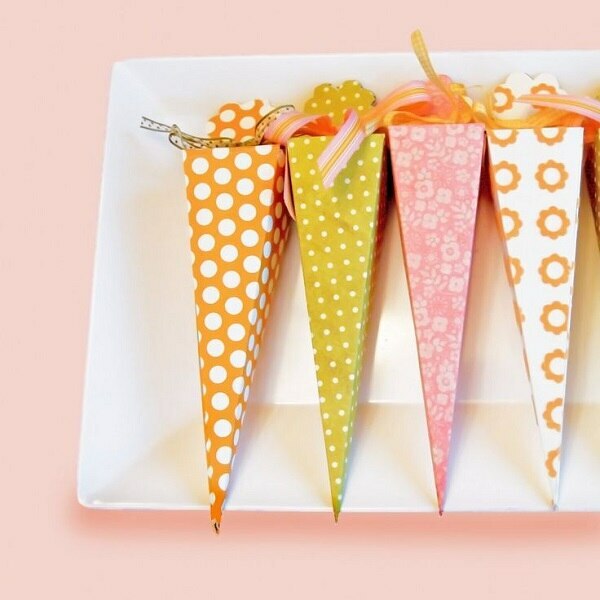 Start with brightly colored boxes and cover them in white round stickers to make polka dots. 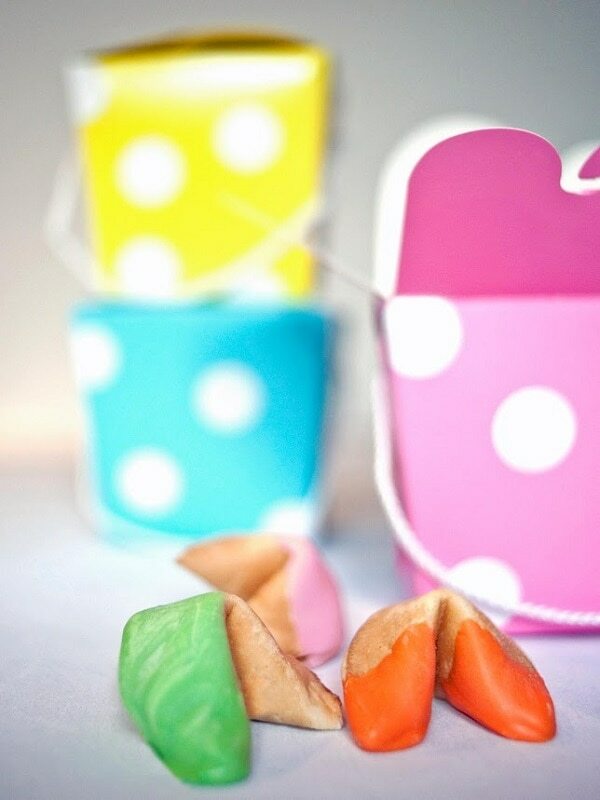 For unconventional Easter treats to go with them, dip fortune cookies in colorful candy melts. 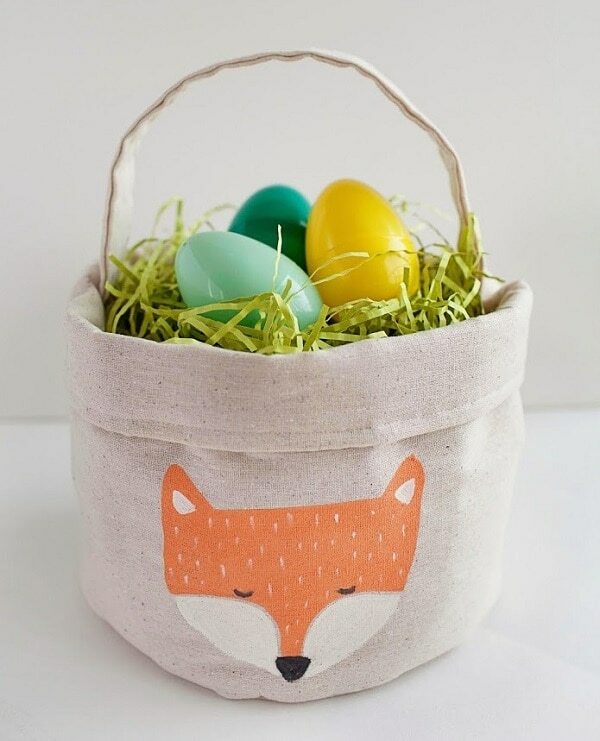 This sweet, slightly rustic fabric basket forgoes the usual bunny motif for something foxier. Use neutral muslin fabric and follow the super simple sewing tutorial, then finish it off with a painted-on fox face. 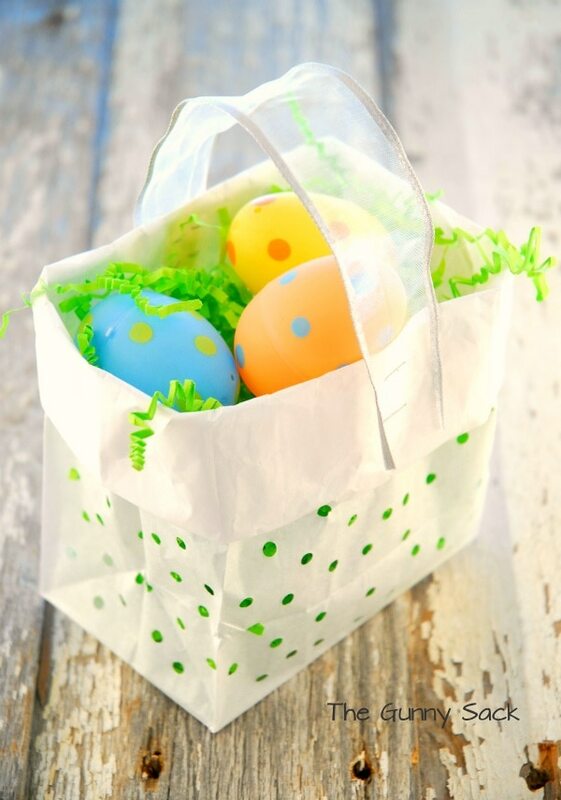 Bits of faux green grass peep through the holes in this pretty Easter bag. To make, punch holes in the bottom third of a white paper lunch bag and attach a piece of wired ribbon for the handle. 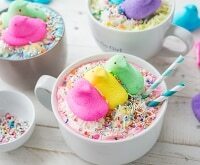 Pretty patterned cups are perfect for small Easter goodies. 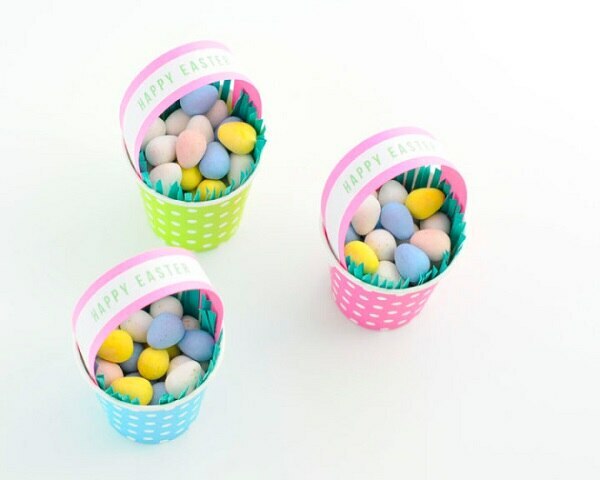 To make the handles, print out a Happy Easter message and glue it to a strip of cardstock, then attach to the cup using brads. A free template makes cutting out and folding these carrot boxes box a breeze. And the abundance of fun patterned papers out there mean you have lots of colors and designs to chose from. 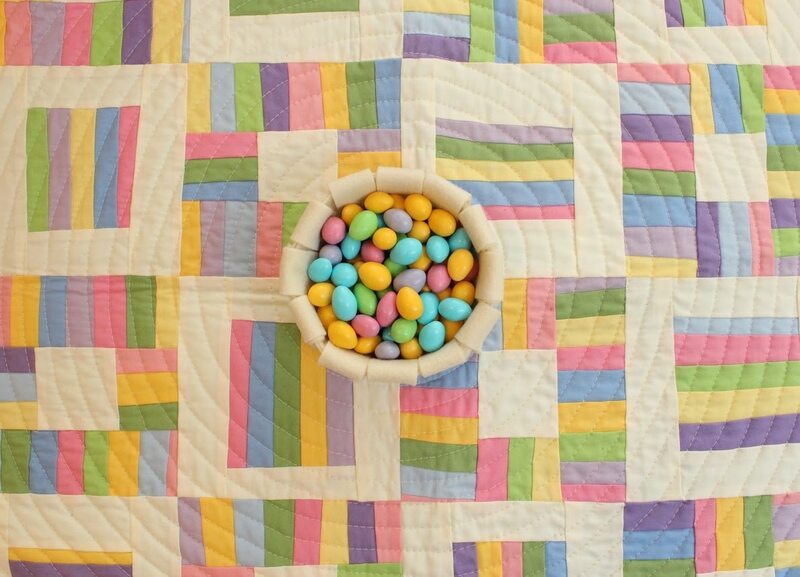 This eternal DIY favorite is an adorable Easter basket substitute. 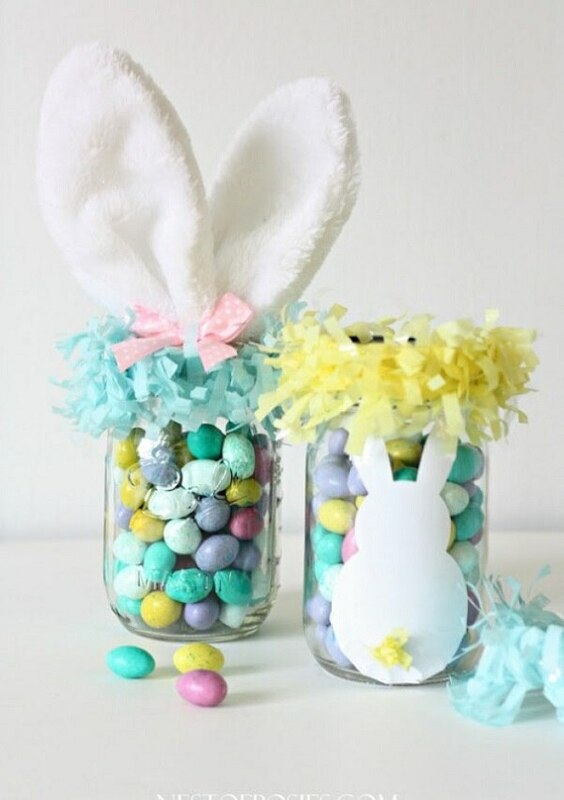 Just decorate a mason jar with fringe trim, bunny ears, and paper cut-outs. 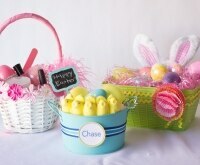 Make personalized Easter buckets that celebrate the return of spring with a touch of nature. 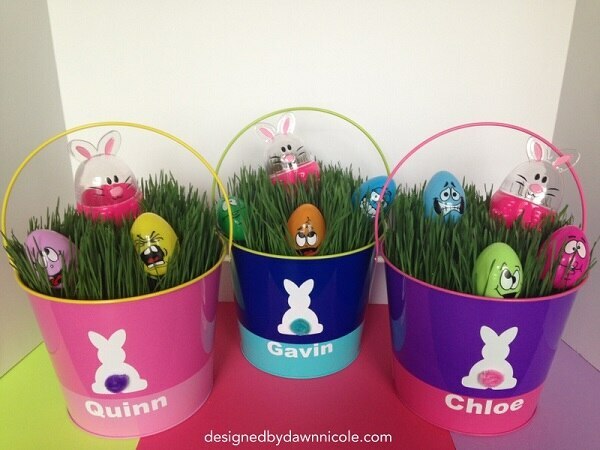 Decorate them with paper cut-outs and pipe cleaners, and plant them with real grass. 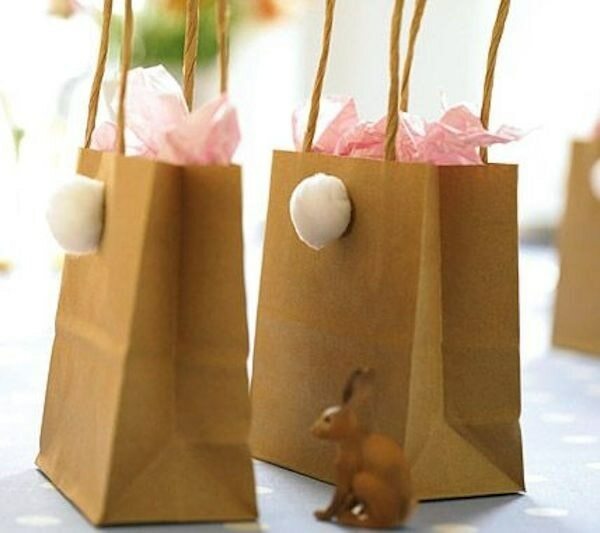 This humble shopping staple can be transformed into a stylish and inexpensive Easter bag. Just glue a fluffy tail to a brown paper bag. Voila! 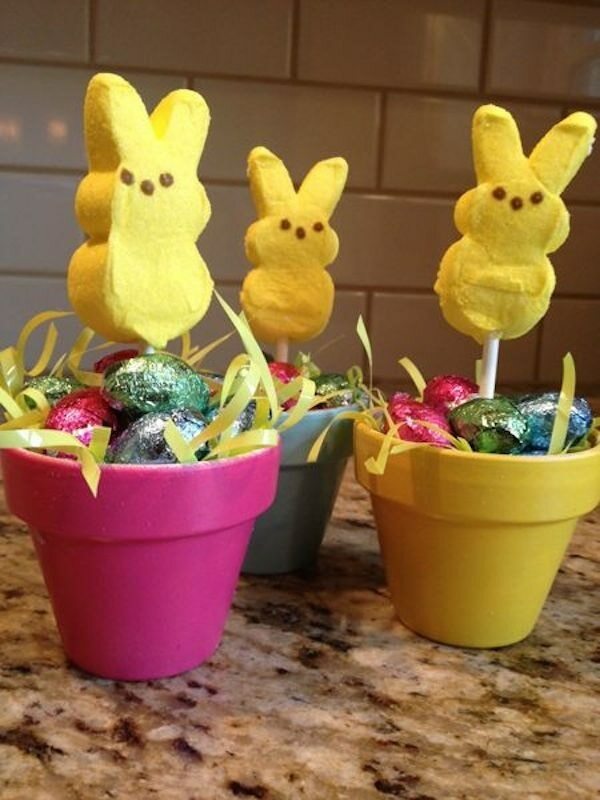 Kids (and adults) can plant these Easter pots with bulbs once they’ve emptied out the candy. 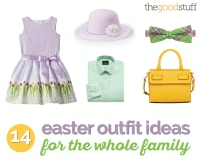 Paint terra-cotta flower pots in bright spring hues, then fill with faux grass and Easter treats. 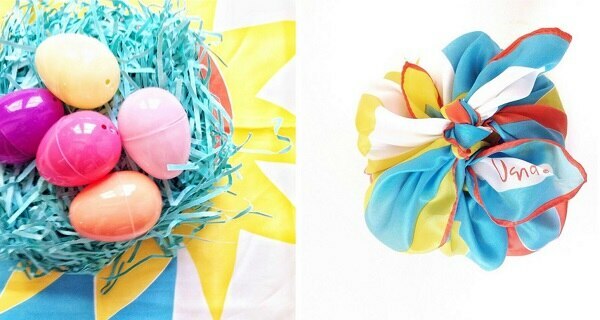 Covering a coffee can in ribbon turns into a whimsical Easter bin. String beads around craft wire for the handle, and add a felt flower if you like. 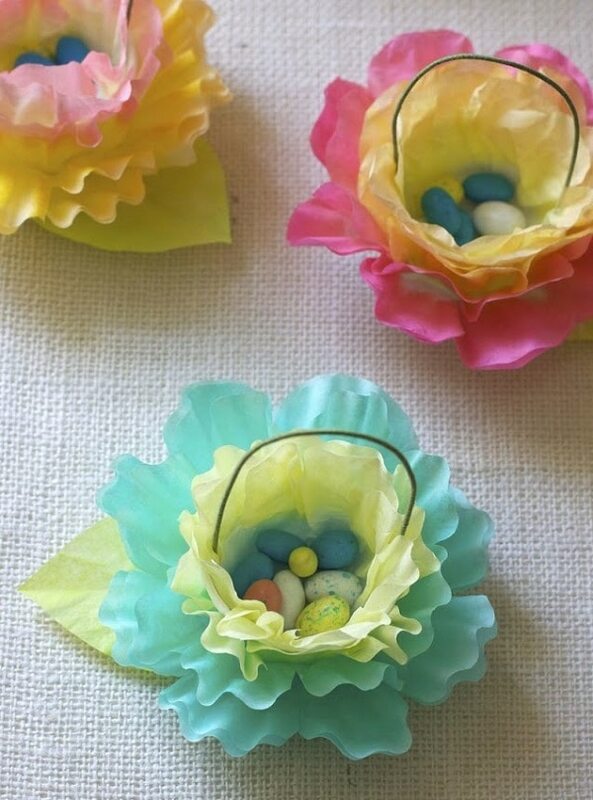 Dyed coffee filters make beautiful and delicate little baskets for Easter goodies. The stem is made out of floral wire. 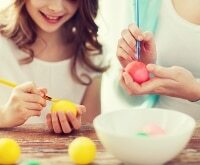 Egg cartons are perfectly compartmentalized, and something you’re guaranteed to already have on hand at this time of year. 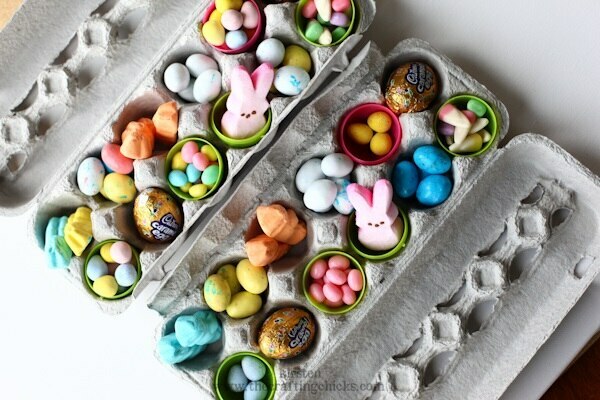 Fill them with fake plastic eggs and candy. 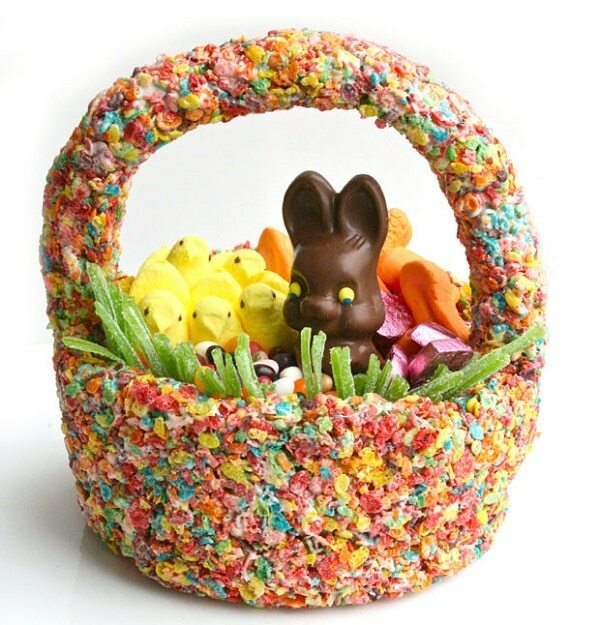 This stunning Easter basket is also delicious. 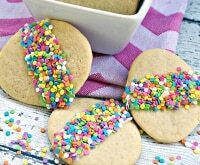 Made from Fruity Pebbles® and marshmallow, and held up with wooden skewers, it’s the tastiest way to carry candy. And the grass? It’s actually Sour Power® Green Apple Candy Straws. 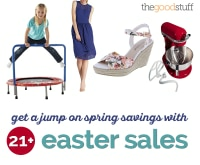 No need to go shopping for this year’s Easter gifts. 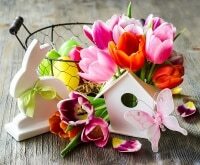 Upcycle materials you already have lying around the house– like coffee cans, egg cartons, and scarves– into beautiful and unique basket alternatives that are gifts in and of themselves. 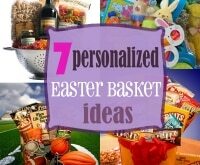 And if you’re not into candy, check out these ideas for sugar-free basket fillers.